Employee benefits is a specialist sub sector within the financial advice market. Employee Benefits are Pension, Auto-enrolment, Life, Medical, etc. for corporate clients but for the benefit of the employees. FCA firms who are involved with employee benefits offer their services to employers either on an advised or a non-advised basis. Never the less, dealing with retail clients is sometimes part of the process, whether that is individual advice to an employee over a pension switch, or generic presentations made to a group of employees. Some advisers provide full advice services to the employees extending to life insurance and mortgage advice. There are therefore boundaries to be observed between regulated and non-regulated services, advice and direct offer propositions, and this is where we help those firms through our compliance services. In our work with Employee Benefit firms we help them define boundaries and help them with the practical compliance requirements that form part of this specialist advice process. 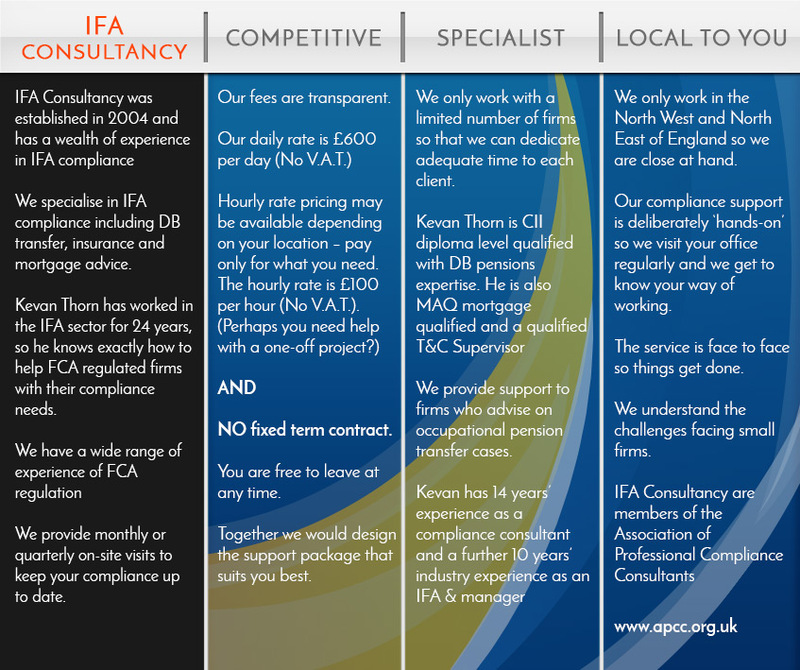 We can help with the full range of FCA Compliance for Employee Benefit firms. As part of our initial visit we will work together to assess your needs and then we would provide you with a 6-month compliance support plan. If there are urgent development points then we would prioritise those. For instance, you may have a certain compliance issue that has prompted your enquiry, anything from recent contact from the FCA, new rules that you are unsure of, or just a complaint you may need advice on. At the first of our regular visits we would then identify the items that we will take responsibility for leaving you with more time for your core activity which is dealing with clients.